Enjoy the surround sound relaxation experience of gong baths. 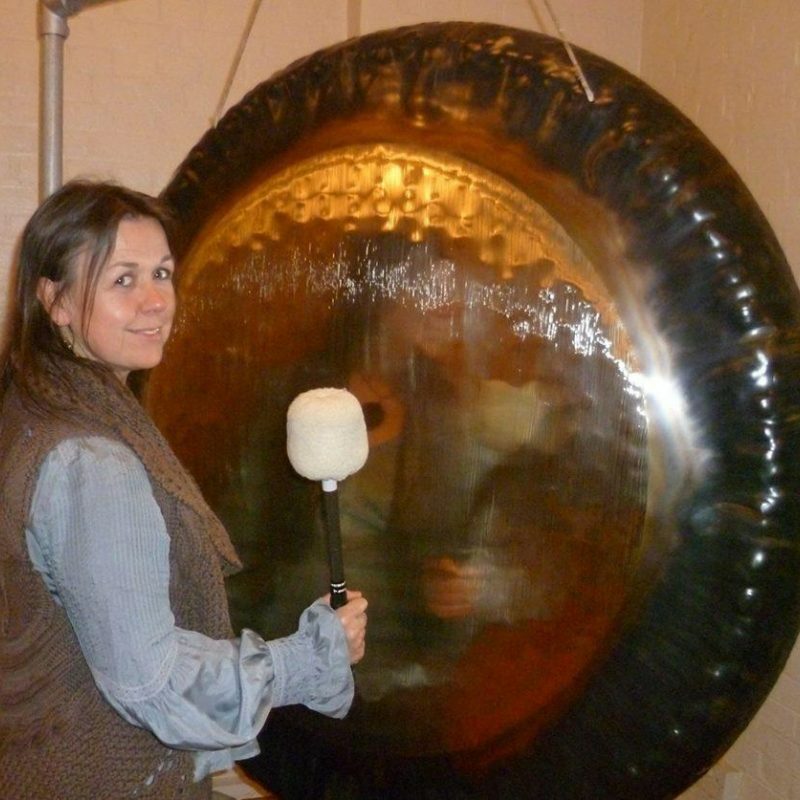 The next gong baths are on Monday 13th May & 17th June 2019 at 8-9.15pm, cost £10. Soundhenge Ireland is a group devised by Lisa Dunne, a certified Gong Master from the Don Conreaux, “Way of the Gong” school of sound healing. The group uses giant Gongs and Tibetan singing bowls alongside an accompliment of world instruments to produce evocative soundscapes, which encourage relaxation and meditation whilst providing vibrational and sound healing. Soundhenge Ireland runs regular gong baths in Belfast and Dublin. The group has been travelling around the festival circuit for many years. Venues including the Hill of Tara at Summer Solstice, Newgrange Winter Solstice, Sunflower Festival, Vantastival, Electric Picnic. Contact Lisa for information at soundhengeireland@gmail.com or through Facebook.